Goldfish Swim School provides specialized swim instruction to infants and children. The facility opened Thursday at 2008 Dempster St.
A swim school specializing in infant and child swim lessons opened Thursday in Evanston. Goldfish Swim School, 2008 Dempster St., will provide year-round swim lessons to children aged 4 months old to 12 years old. The opening of the school, which has more than 25 locations across the nation, coincides with National Water Safety Month, which aims to educate the public on safe water practices. Sally Anderson, general manager and owner of the new location, said the timing of the opening worked well to prepare children for summer, which is when most children swim and most drowning incidents occur. Anderson said the school, which features a colorful, kid-friendly interior, has hired 20 trained instructors. Lessons are given Tuesday through Sunday, and family swim hours — when the facility serves as an open pool — are available every day of the week. Goldfish Swim School also offers an option for people to host weekend birthday parties at the pool. Evanston’s population and proximity to Lake Michigan made it an ideal spot to open the new school, Anderson said. 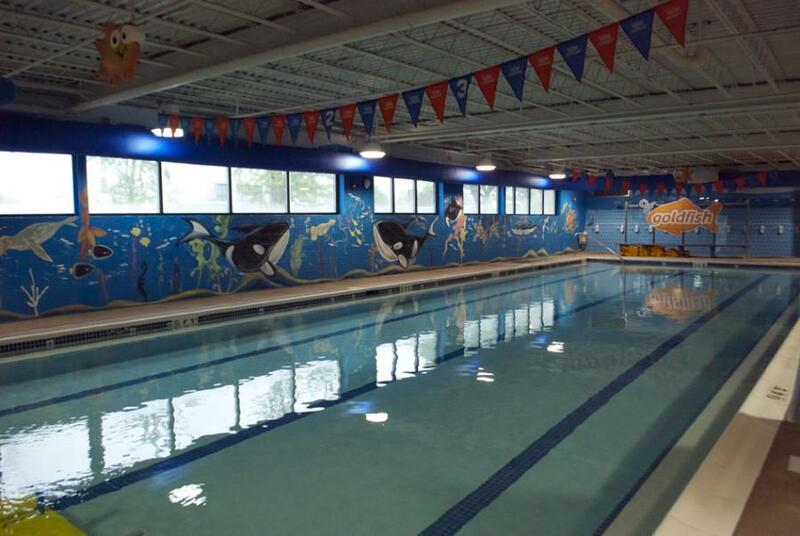 Although the YWCA Evanston/North Shore and swim schools in neighboring communities offer swim lessons, Anderson said the city was lacking a spot for specialized swim lessons and indoor swimming birthday parties. The new business, located in Evanston’s West Village neighborhood, will have a ribbon cutting ceremony June 4 and a free grand opening event June 7. Goldfish Swim School was founded in 2006 and is headquartered in Birmingham, Michigan. It has other Chicago-area locations in Roscoe Village, Burr Ridge, St. Charles and Naperville. Paul Zalmezak, the city’s economic development coordinator, said the new business will fill a space that was vacant for a long period of time and should result in more visitors to the West Village neighborhood. “We need to have businesses that are appealing to families and kids,” Zalmezak said. Anderson said Goldfish Swim School is ready to teach as many kids to swim as possible.